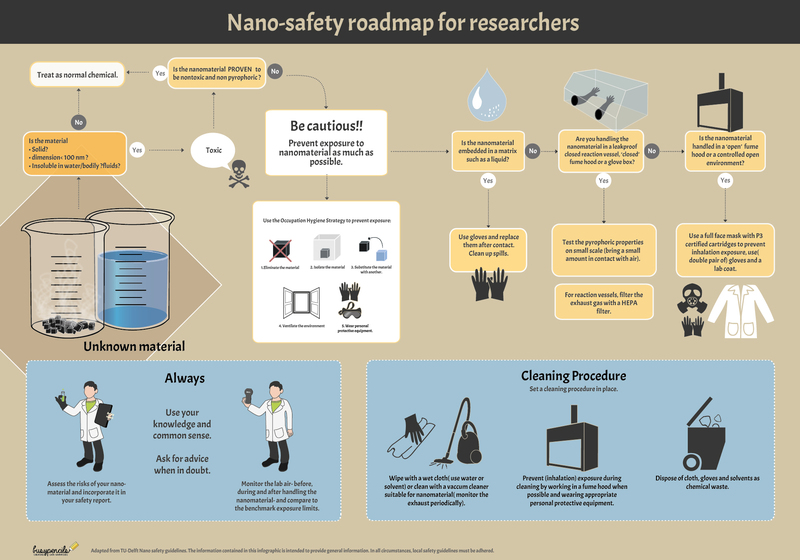 Guidelines for Nano Safety is a illustrated road-map to help decision-making and safe handling of nanoparticles in laboratories by researchers.The idea behind this project was to create an easier and visual aid to help researchers working with nano particles during their experimental research rather than a text heavy flowchart. It is adapted from nano safety guidelines which was created by the Delft University of Technology. The information contained in this infographic is intended to provide general information. In all circumstances, local safety guidelines must be adhered.